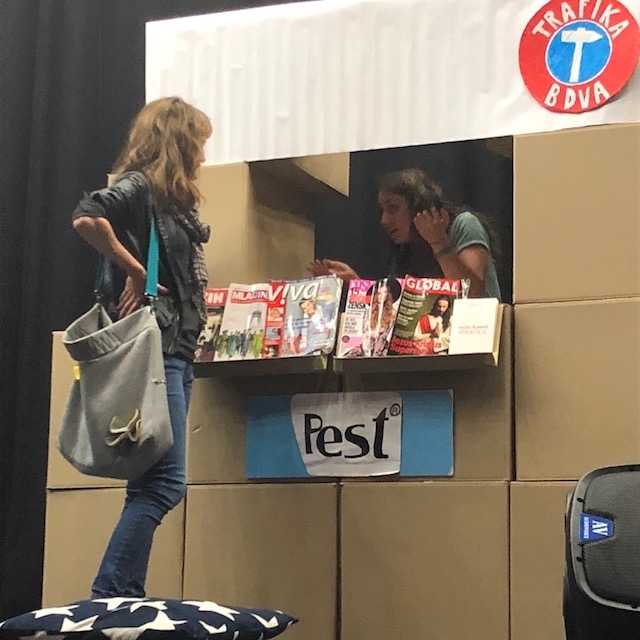 Last night the team of #eminbus 1 joined the EAPN Network Slovenian forum theatre performance “Everthing or nothing’’ in Ljubiana on the topic of precarious work-which was very inspiring. The event was moderated by stand-up comedian and EMIN ambassador, Mr. Andrej Težak Tešky. 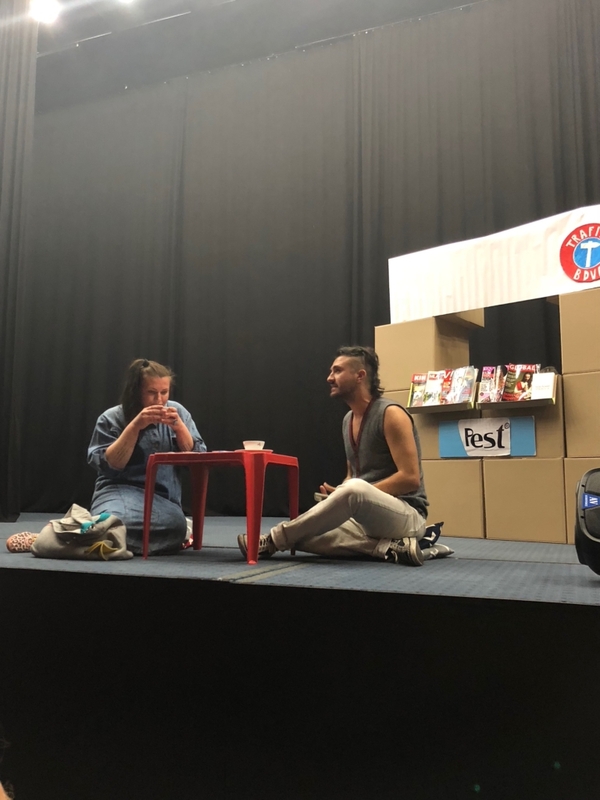 This participative theatre method has been developed by a group of young people who came together to share their stories about key challenges around poverty they face. The forum theatre is then developed with a public audience as a way of engaging participants in a very interactive manner: presenting the issues through theatre, then analysing the issues with the audience , proposing, acting out then agreeing common solutions. Precarious work is a massive problem in Slovenia, from journalists, kiosk workers, call centres, insurance sales as well as take away food. Battling with low hour contracts, no contracts or contracts that aren’t worth anything is a growing source of insecurity and poverty. Most people want to work, and the call is for better regulation and employment and social protection rights, with support through better legal advice and complaints procedures and the backing of strong collective bargaining. Raising the levels and coverage of minimum income is crucial to prevent a growing number of these young people who are facing poverty without adequate protection.